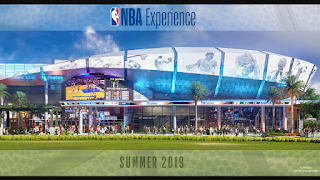 NBA Experience small details and artwork released, 2 years after the closure of NBA City at Universal. 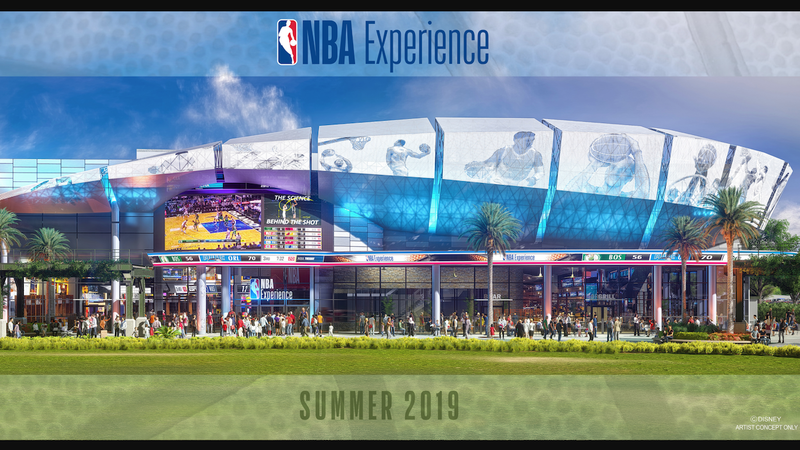 As DisneyQuest continues to be demolished, Disney has given us a first look at the new NBA Experience to open in its place. Universal Studios CityWalk closed NBA City 2 years ago, and quickly afterward Disney took the plan to open a similar, much larger experience at their version of CityWalk, Disney Springs. 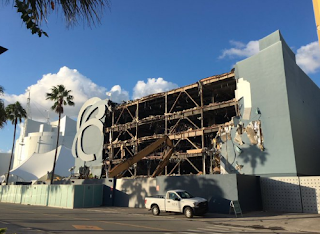 Today Disney has given us some details on the new experience, that looks to be a much larger and greater version of the old Universal Studios restaurant. 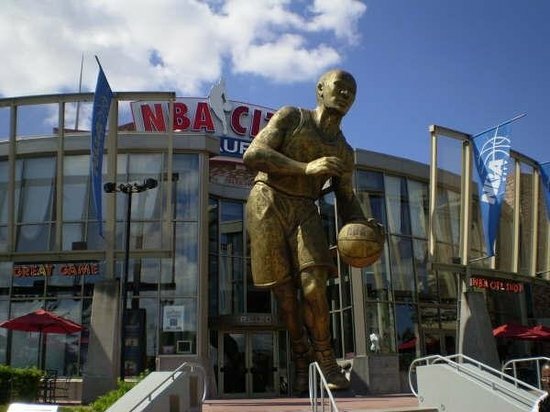 Expect a huge arcade, spectacular restaurant, and fantastic area to watch sports! It also fits in great for Disney with the company heavily involved in the NBA through airing games. I remember as a kid going into a large arcade that had about 20 different basketball hoops with all sorts of differently shaped backboards. It was extremely fun to shoot into a 20-foot hoop, or a backboard that was bowed inward. I'd love to see something like this adapted into NBA Experience. What are your thoughts? I do not see this sport growing, but love bars and beer, so you'll see me here!